Robots to lift loads, move cargo and clean floors. Tokyo’s Haneda Airport is using robots to help employees lift heavy luggage and keep floors clean, and they could be coming to more airports in Japan and other countries. Japan’s birth rate is declining which means that there are now less people available for employment. To solve this labour shortage, Haneda Airport turned to Cyberdyne, a spin-off from the University of Tsukuba led by Professor Yoshiyuki Sankai. The robots were first tested at the airport in August last year and then introduced for full operations at the domestic passenger terminal the following month. 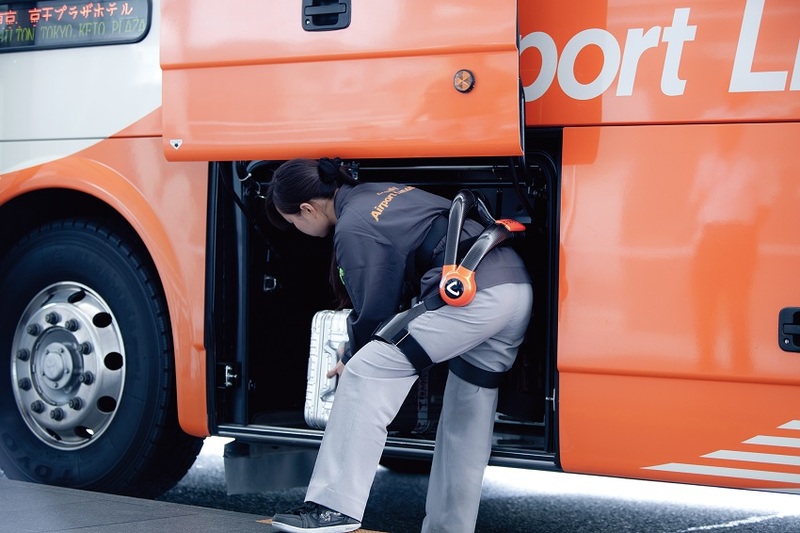 Airport employees wear these robotic suits to help them lift heavy objects with less effort – for instance, when loading and unloading airport buses. The suit, weighing about 3kg each, is worn around the waist. It works by reading brain signals to muscles, called bio-electric signals, prompting the machine to support the weight the person is lifting. The suit, called HAL for Labour Support, is battery powered. A full battery can last for about 3 hours. It costs JPY10,000 (US$85.8) to rent, and Haneda Airport is using three of these. 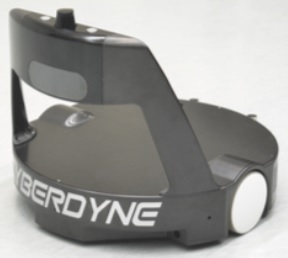 These button-operated robots are capable of taking lifts on their own and can be set schedules to clean the building floor by floor. And the floor’s layout can be programmed into it. The robot can detect if there is something in the way and stop moving. Haneda Airport is using five of these to vacuum its terminal floors. Haneda Airport is using five of these to transport cargo in basement warehouses. And these will not be all. 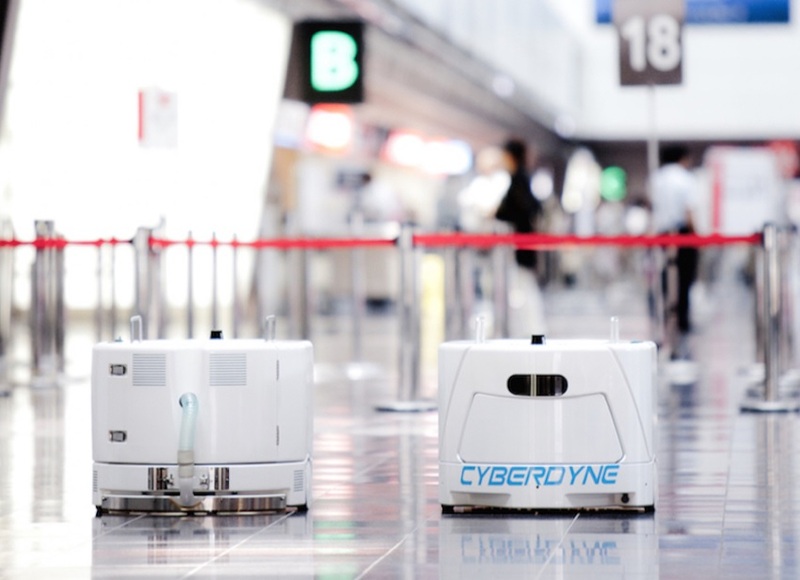 Haneda’s operator Japan Airport Terminal plans to continue working with the company to create new “next-generation airport robots” that will help reduce costs and take the airport to a new level.